Pope Francis has been one of the biggest themes for local publishing houses, particularly in light of a historic Korea visit next month. His Aug. 14-18 visit has led to the release of some 30 books this year, inviting readers to learn about the papal message. New publications range from collections of his words to an analysis on his Tweets. 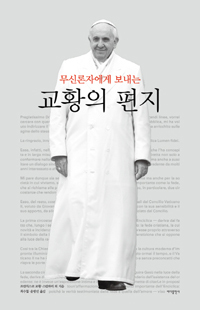 Pope John Paul II served from 1978 to 2005, but only 35 Korean books about the pope were published during the 26-year tenure. 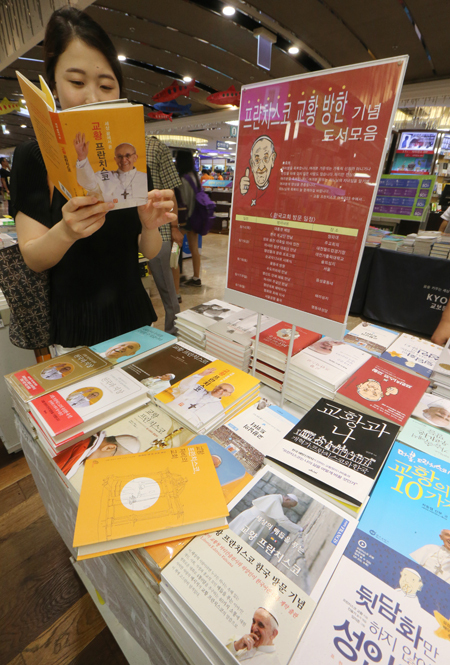 The sudden surge in the number of books on Pope Francis reflects Korean's interest toward the first pope from the Americas. The 77-year-old Argentine pope is famous for reformist messages across the globe since his inauguration in March 2013 and many books convey his unique messages and give insight to the life and thoughts of the Pope. 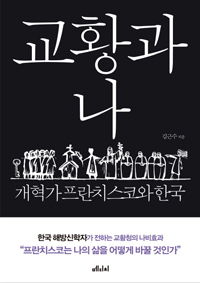 The Korean edition of "Evangelii Gaudium" (The Joy of the Gospel) was published by the Catholic Bishops' Conference of Korea in March. The apostolic exhortations of the pope deliver the message to build a "church for the poor." "I prefer a church which is bruised, hurting and dirty because it has been out on the streets, rather than a church which is unhealthy from being confined and from clinging to its own security," the pope wrote in the book. Priests are voluntarily translating the pope's words into Korean. They contain the pope's conversations with diplomats and ordinary people, his Twitter feeds as well as his sermons. 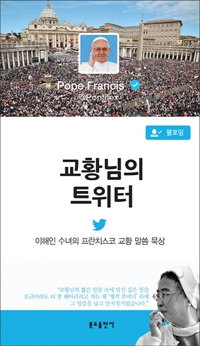 Sister Claudia Lee Hae-in, who is also a poet, released a book "The Pope's Twitter." His Holiness Pope Francis (@Pontifex) is the first pope to be on Twitter with over 4.2 million followers. The nun has compiled pope's Tweets as well as her meditations on the Tweets. Young priests also joined the rush to write about the pope. Father Jin Seul-ki, 34, who is studying philosophy at Pontifical Gregorian University in Rome, translated "You Can be a Saint By Not Backbiting," a collection of pope's sayings. He first started translating to learn Italian, but soon became fascinated by the his simple yet profound messages. 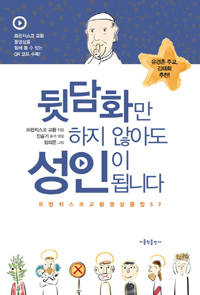 The Tech-savvy Jin has been uploading the pope's sermon to YouTube with Korean subtitles and the readers can see the video clips with QR code in the book. Scholars pay attention to the pontiff's reform-mindedness. Father Cha Dong-yeop summarized Pope Francis' messages in 10 categories. Cha consulted with scholars from Lateran University to find the core of the pope's words, including love, mercy and forgiveness. Theologian Joseph Kim published "The Pope and I" and defined Pope Francis as the third reformative pope in modern papal history, recognizing his effort to convert the church. Kim says that the long history of Vatican was possible through continuous self-reform, such as Pope Leo XIII who acknowledged the rights of laborers in the 19th Century and Pope John XXIII who led the Second Vatican Council in 1962. He adds that the pope's reform drive has not permeated to Korean Catholicism yet and the church should be led by the laity, not the clergy. "Over Heaven and Earth" is a documentation of conversations between the pope and Argentine biophysicist and rabbi Abraham Skorka. The pope, then-Argentine Cardinal Jorge Mario Bergoglio, discussed a variety of topics from religion and politics to abortion and euthanasia, and the book hints his open thinking. "The Pope's Letter to Atheists" revolves around the pope's letter to journalist and atheist Eugenio Scalfari that was printed on Italian daily La Repubblica. Scalfari address the provocative question to His Holiness and the book documents how the two discussed the sensitive issue.